Football game days in the Atlantic Coast Conference have always extended beyond what transpires for three hours on a field of play. Traditions built and maintained over the past six decades combine with colorful characters, passionate fans and dedicated student-athletes to produce a pageantry and intensity that makes each campus experience unique and each football weekend a special occasion. “Inside ACC Football: A Game Day Experience” debuts Thursday night (Dec. 11) at 8:30 p.m. on ESPNU and offers a broad look at the league’s football landscape. In a fast-moving journey throughout the conference, we discover the origin of Florida State’s Sod Cemetery and the history of the Duke-North Carolina rivalry’s Victory Bell. We learn why Howard’s Rock is more than just another piece of stone and why the Ramblin’ Wreck remains a smooth-running machine. Current players take us through their regiments leading up to kickoff. ACC legends such as Boston College’s Chris Snee and NC State’s Torry Holt speak of their love for their schools and how camaraderie with college teammates forms a lasting bond. “Inside ACC Football: A Game Day Experience” is the culmination of a season-long series of game day access and feature video content from all 14 ACC football institutions. Video crews captured over 100 hours of football footage from 17 games this fall. This material was then turned over to Emmy-award winning producer, Colby Gottert, and his team at Digital Development Communications. 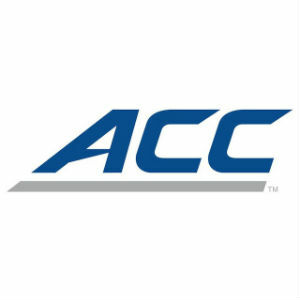 Following Thursday night’s debut on ESPNU, the program is set for additional airings at later dates, and will also be shown on the ACC Digital Network starting Friday.